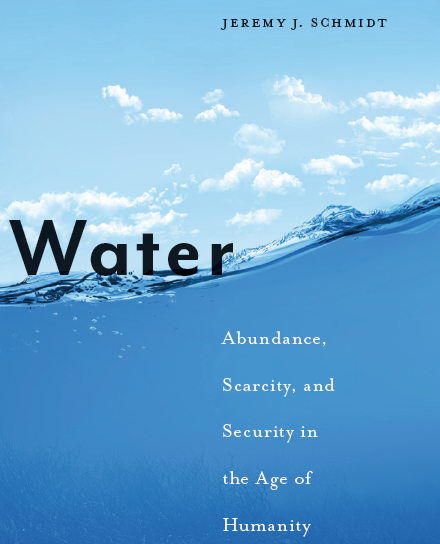 Last May, as part of the workshop organized by E4A’s Ethics and Cosmology, I read Jeremy Schmidt’s new book on water ethics – Water: Abundance Scarcity and Security in the Age of Humanity. The book tells the story of water management philosophy in the United States, from the very beginning of the country to today. Having a background in IWRM (integrated water resource management), I couldn’t help but recognize so many underlying assumptions about water ethics that had been taught to me in graduate school. Seeing them blatantly written down suddenly made me aware of all the biases in water management today. Understanding where they came from was not only interesting but helped me to be more aware of them in my work. After the workshop, I recorded a short interview with Jeremy to understand his work better. You can listen to the short interview here. Jeremy Schmidt is Assistant Professor of Geography at Durham University. In 2015, he received the SSHRC Impact Award for his work on water governance, ethics, and policy. He was previously a post-doctoral fellow in social anthropology at Dalhousie University and Harvard University. His PhD (Geography) was conferred by Western University, where he held a Trudeau Scholarship. In addition to his research, Jeremy is a collaborator on the SSHRC Partnership Grant: Economics for the Anthropocene. He is the series editor for Global Challenges in Water Governance, a collection of 12 books to be published by Palgrave over the next 5 years. He is also a member of the Future Earth working group on Water Ethics, and of the ethics and environment group at CREUM: the Centre de Recherche en Éthics de l’Université de Montréal. In 2016 he was an invited participant to the UN Dialogue on Earth Jurisprudence. His policy recommendations on issues of justice and First Nations water rights have been tabled and debated in Alberta’s legislative assembly. Raised on Canada’s dry western prairies, Jeremy’s disposition towards water, and the Earth system in general, is influenced by experiences in Alberta’s oil and gas sector, custom agriculture, and as a kayak guide and forestry firefighter. Laura Gilbert is a PhD student at McGill with the E4A project. Her research interests focus on ways that policy can alter environmental values, perceptions, and attitudes to facilitate the implementation of environmental initiatives to lower water consumption.